Worldwide icon-chevron-right North America icon-chevron-right United States icon-chevron-right Illinois icon-chevron-right Chicago icon-chevron-right Happy Canoe Day! 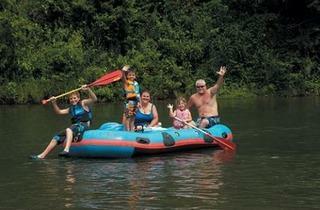 Ditch the city and the video games for a nature-filled trip down Missouri's Meramec River. 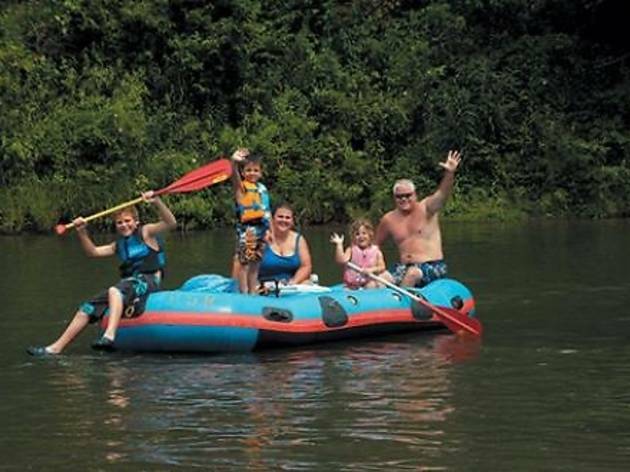 Before any of our friends had kids, we’d all load up our coolers and cars and head to Missouri every summer for a weekend of drunken canoeing, rafting, grilling and hilarity. Maintaining this tradition took on renewed importance once we became parents and began to recognize the value of a hedonistic weekend without the kids (thank goodness for grandparents!). This continued for more than a decade, until one year I began to notice the large number of happy families floating down the river. I was having fun with my friends but suddenly missed my boys and couldn’t help but think they would love this experience, too. After considerable debate and a few ground rules (i.e., no puking in front of the children), we agreed to give it a try. In the early days of our trips, we drove down to southern Missouri, slept in tents and hit the fast and wickedly fun Current River in canoes. As our priorities shifted (beds and real toilets, please! 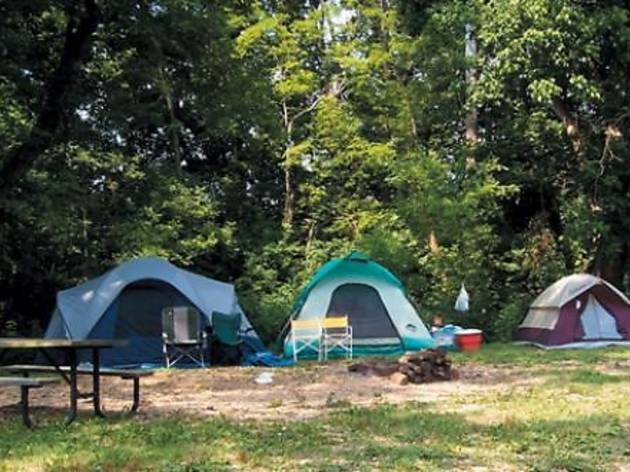 ), we moved camp to Blue Springs Ranch (800-333-8007), a picturesque spot along the slower Meramec River about 60 miles west of St. Louis. 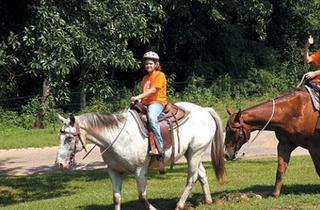 With cabins that can accommodate nearly any size group, Blue Springs was perfect for our bunch. Turns out, it might be even better for families. The big draw, of course, is floating down the river. Sign up for a 5-mile float (plan for 4–6 hours, longer if you stop every couple hundred yards to swim and explore caves as we do). Blue Springs provides the rest: life preservers for children 5 and over (a must for kids; even though the water is shallow in parts, the current can be scary and I’ve seen many cases where life jackets made a difference); rafts (starting at $90), canoes ($42) or kayaks ($28); bus transportation to the starting point and garbage bags for your beer cans…er, juice boxes. Bring your own half-inflated inner tube to wrap around your cooler and tie it to your boat with rope. The peaceful river is a perfect way to enjoy the great outdoors. Be sure to watch for spots along the way to climb up trees and then jump into the water à la Tarzan on a rope swing (check how deep it is first, of course). Throw a flashlight in a Ziploc bag to help you navigate the cave about midway through the float. 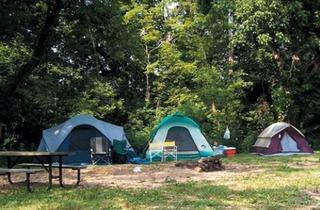 The campground offers even more entertainment for the family. There’s a pool, hayrides, movie nights on Fridays and karaoke on Saturdays. 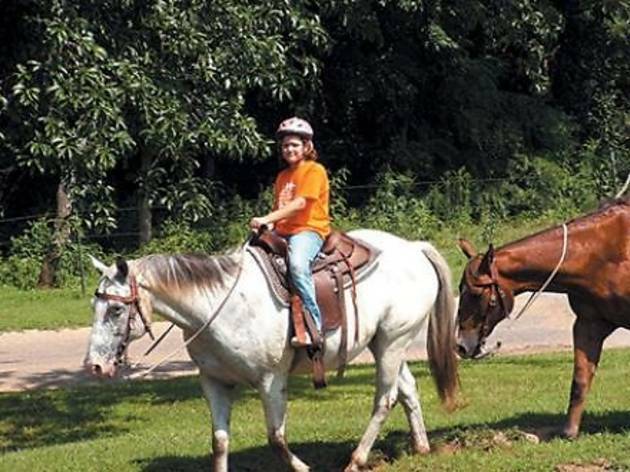 Horseback riding is a don’t-miss and at $20/hour, a bargain. And, of course, you can always sit around the bonfire, roast marshmallows and tell spooky stories or sing songs. Accommodations range from “Rock Castle,” which sleeps 16 and runs $640/night, to cozy two-person cabins for $92/night. Cabins offer full kitchens, so it’s easy to prepare your own food. And all campsites come equipped with grills. Fair warning: Regulars tend to book cabins a year in advance, so weekends fill up fast. But there are still plenty of cabins available this summer during the week, and you can always set up a tent and “rough it” for about 10 bucks a night per person. I recently reminded my husband that our friends had booked cabins for this summer’s trip while we were there last year. My oldest son overheard and asked, “Do we get to come, too?” Apparently, we have a new tradition.